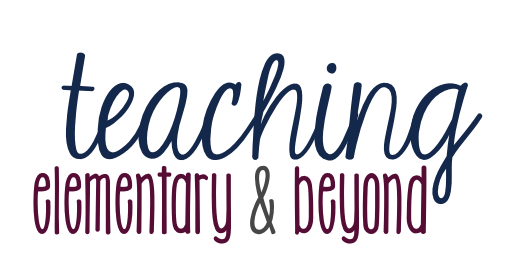 It is hard to believe that we are into our third month of school. Seven more school weeks until our break! This week we handed in our progress reports (Communications of Learning where I teach) with feedback to get them ready to go home next week. Our first communication with parents is an observation of students. 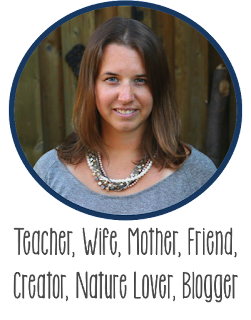 We used to have parents visit in our class and then have our interviews. This year we wrote COL's for the first time and will have interviews afterward. I'm excited that as a kindergarten team we were able to collaborate together to get our PM Benchmark Kit ready to be used. Amazing parents of another K teacher on our team came and stamped and sorted the books to get them ready to be used. Being at a brand new school is exciting but time-consuming. We created a new game this week which can be played individually or as a race against as a friend. 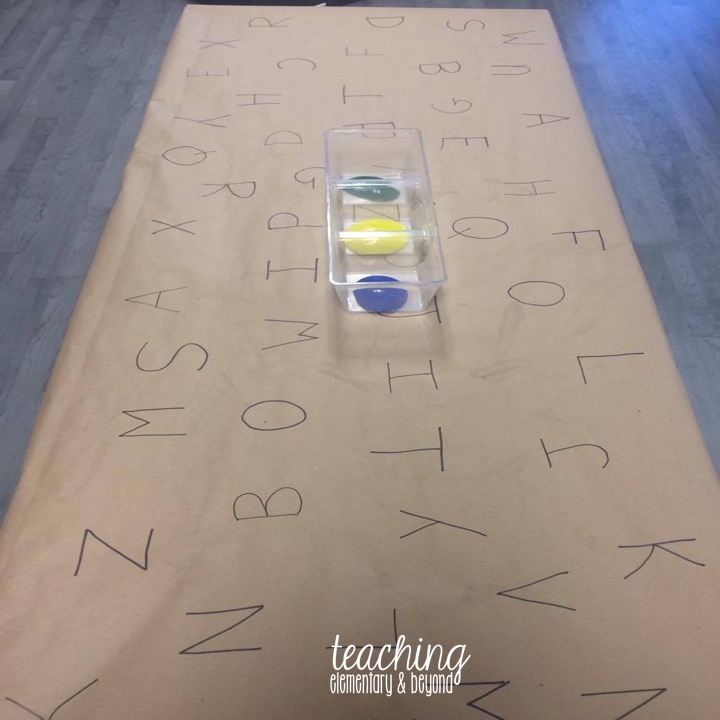 It is a super simple game that was a huge hit with everyone in the class! 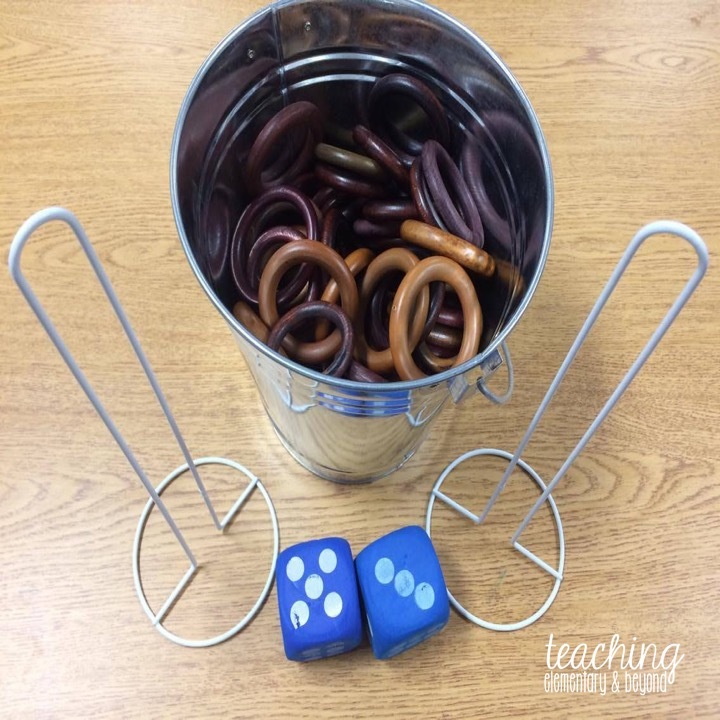 Many number sense concepts are covered in this simple activity. Subitizing skills, 1-1 correspondence, movement is magnitude, and representing numbers in a variety of ways are all a part of this game! I collected our rings from a second-hand store so they are not all the same size. So this activity also hits the abstraction principle! How to play? Simply, roll the dice and add that many rings to the paper towel holder! Count how many fit when you've reached the top! Play a friend by taking turns rolling one die and adding the rings to the tower. Who can fill their paper towel holder to the top the fastest? 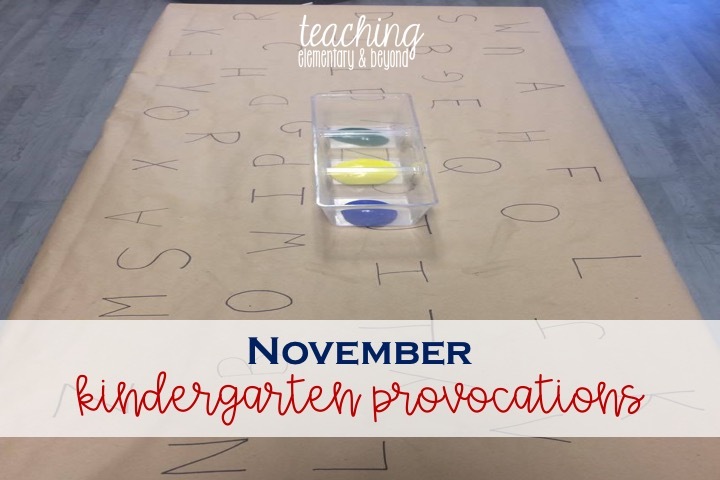 We painted the upper case alphabet using Q-Tips this week! At first, it was open for small group instruction only but then we opened it up to the class once certain students had come. 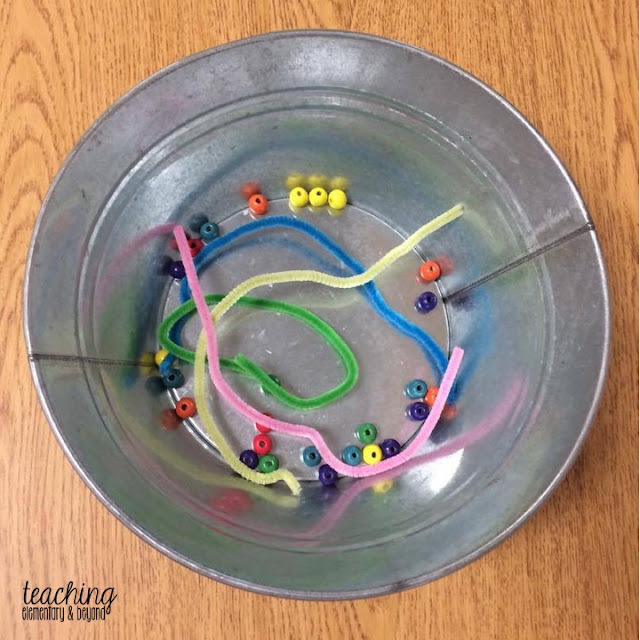 This is great for fine motor development, letter formation and experimenting with mixing colors. 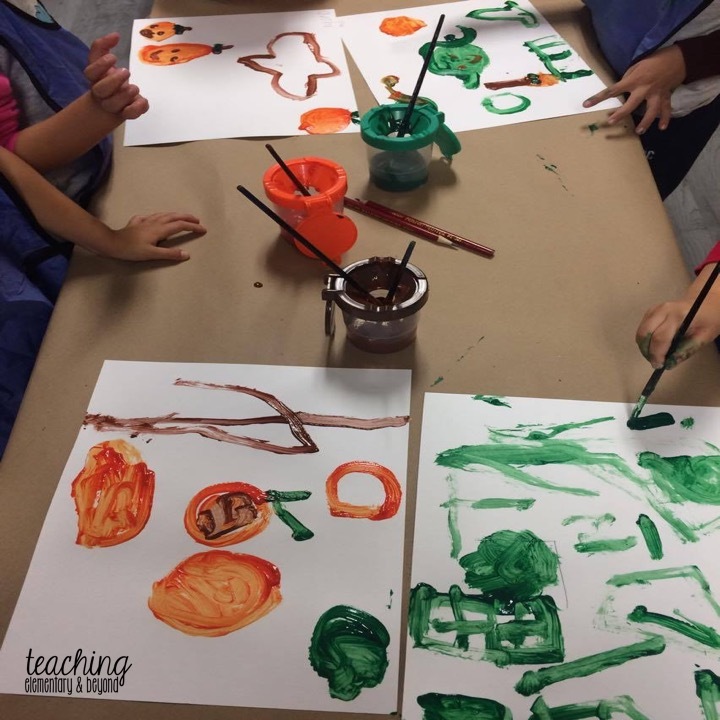 One of us was monitoring this activity to ensure they knew how to handle the paint appropriately as well as to make sure students were starting at the top of letters! We were lucky to have a student from our class donate this fine motor activity. The center simply includes beads and pipe cleaners. Stringing the beads through the pipe cleaner is often harder than one might think! Many students love to play with Duplo. 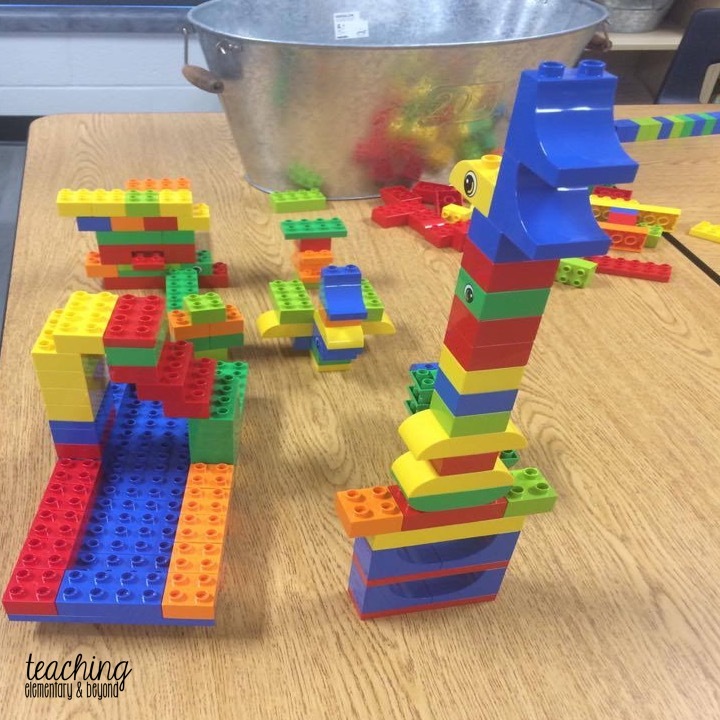 At the beginning of the year, Duplo is a great provocation to place out since we have very young three-year-olds in our classroom who still put objects in their mouths. This is an airport. The CN Tower is on display with multiple airplanes for you to see! I'm absolutely fascinated with how creative children can be! 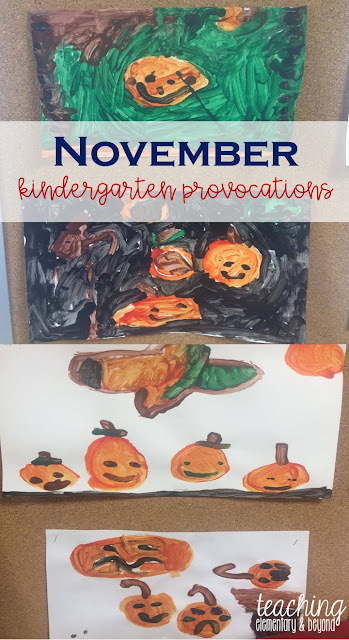 Our students interest in the Five Little Pumpkins has not finished! Students asked to paint the story and they created many amazing representations of their ideas of this poem!